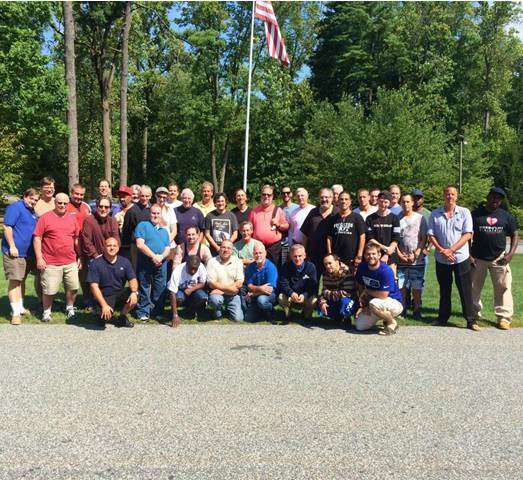 PENNSYLVANIA, MALVERN — The Cathedrals of Christ the King (New Paltz, NY) and Intercessor( Malverne, NY) held their Men’s retreat Sept, 19-20 Sept. The subject was Authentic Christian manhood http://www.authenticmanhood.com/ the 33 Series. Based upon bible value for mens and the 33 years of Christ’s Life on earth. The series introduces significant concepts that have been used for years are Intercessor, such as Authentic men reject passivity,accept responsibility,lead courageously and invest eternally. The series is being used by the Intercessor Men’s Ministry as an on-going series of seminars for the men. Christ the King won the Football Retreat Cup this year, Intercessor is now planning for the rematch next year. The retreat also had time for rest, worship, fellowship and prayer. The annual football game was won by Christ the King. Church of the Intercessor stated this is a rebuilding year for them and looks forward to next year’s rematch.